It's no secret that a couple of important postwar German art figures are clearly referenced:. 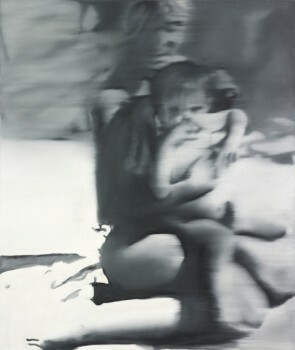 The mentor and teacher Joseph Beuys, and the painter Gerhard Richter emerge as central, but only after half-way through. 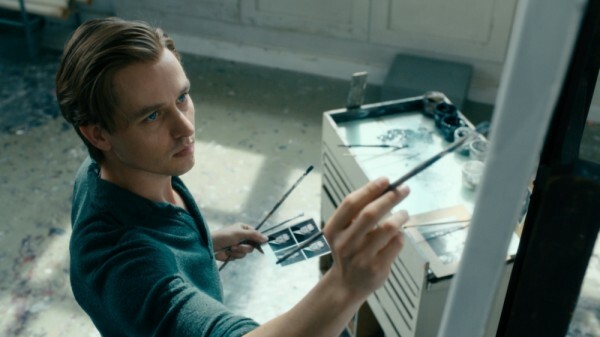 Never Look Away, 189 mins., original title (German) Werk Ohne Autor (Work Without Author), debuted at Venice Sept. 2018 winning two awards; also showed at the Toronto and Zurich festivals. It released theatrically in various countries in Oct., Nov., and Dec. Limited US release in Nov. 2018 to qualify for the Oscars; it is the German Best Foreign entry. For a Venice review that's as enthusiastic as I am, see Boyd von Hoeij in Hollywood Reporter. Coming to Northern California 15 Feb. 2019. Chosen as Germany's Best Oscar entry, the film (January 2019) is now shortlisted for the coveted award with eight other titles: Birds of Passage from Colombia, The Guilty from Denmark, Shoplifters from Japan, Ayka from Afghanistan, Capernaum from Lebanon, Roma from Mexico (the favorite), Cold War from Poland, and Burning from Korea.